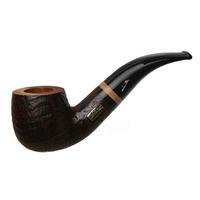 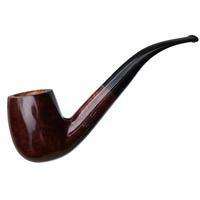 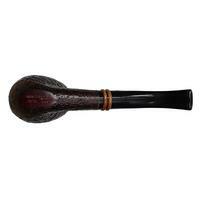 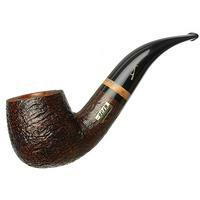 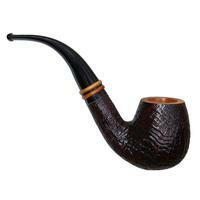 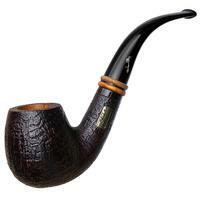 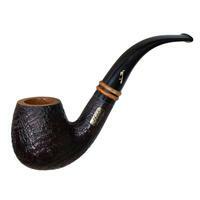 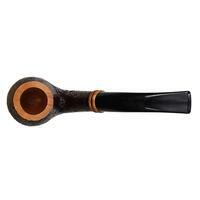 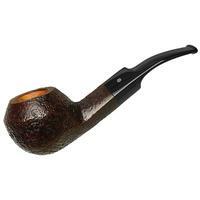 Savinelli's 2018 Collection series briar is none other than this full-bodied bent Billiard shape, offering a sweeping, playful sense of bend, a substantial feel in hand, and in this case, loads of rippling ring-grain. 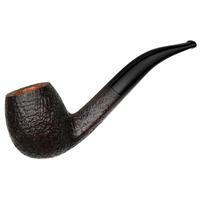 Said ring-grain is accentuated by a crisp sandblast, stained quite dark, and complemented by a warm, smooth-stained rim. 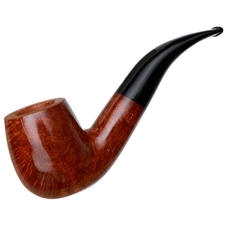 Adorned with a pair of briar ring accents at the stem base, it's sure to be a treasured, comforting addition to your personal collection.